In the Anishinaabe tradition, during the months of the cold season, people gather to hear stories shared around the Fire. During this time there is less fear of the Ancient Ones being angered at their telling as they are asleep. 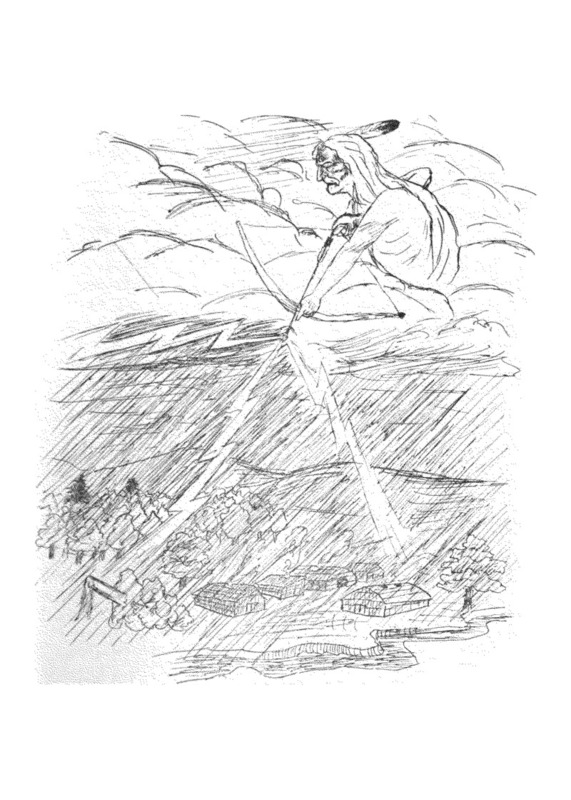 Our first oral rendition, adapted into iambic pentameter by Verlin Lloyd James, is Sky Woman. Hers is the story of All Creation, as she is Mother of All. March 29, 2019 by G.C.L.